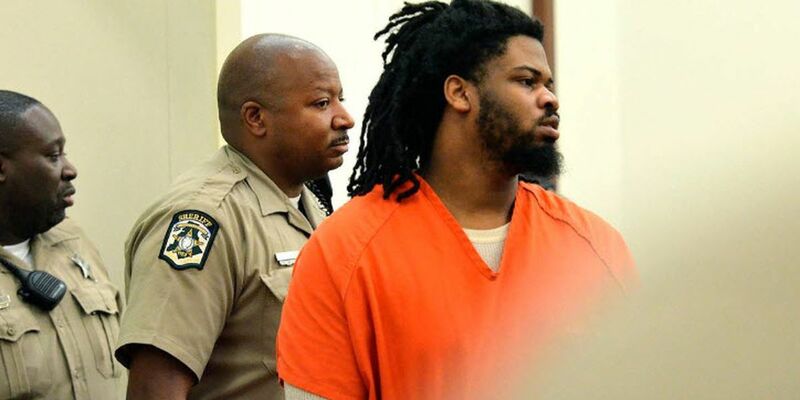 CHARLOTTE, NC (WBTV) - Eight jurors were selected for the Rayquan Borum murder trial by Wednesday afternoon. Defense attorneys and prosecutors now have to seat four more jurors and three alternates. Meanwhile, Borum’s defense attorneys filed a motion Wednesday morning asking the judge to limit prosecutors’ arguments that Borum was intending to shoot police but missed and hit Justin Carr. Carr died in 2016 when demonstrators took to the streets to protest the officer involved fatal shooting of Keith Lamont Scott. Police say when a crowd gathered in front of the Omni Hotel, Carr was fatally wounded. Police arrested Borum shortly after and charged him with first-degree murder and felon in possession of a firearm. One of the elements of first-degree murder is intent. Prosecutors have to prove Borum was intending to kill. They say they have evidence that he was targeting police but it was Carr who was hit. The state says just because Carr was the one who was fatally wounded instead of a police officer that doesn’t mean intent goes away - it just transfers. Prosecutors said Borum said the words again right before he raised his hand with a gun. The weapon didn’t work the first time but prosecutors say the second time when Borum pulled the trigger - Carr was hit. Prosecutors revealed that after police arrested Borum they showed him a screen shot of surveillance video - and Borum called someone from jail and allegedly said “they got me on video when I upped it” meaning when he raised the gun. The state’s argument of transfer intent is not sitting well with defense attorneys because they say prosecutors don’t have evidence of a specific intended victim. The defense says it was a chaotic scene outside the Omni that night. They believe someone else is responsible for Carr’s death. The state says CMPD fired pepper ball pellets that night. According to the defense, the Medical Examiner (M.E.) found a tiny metal fragment in Carr. Defense attorneys say the M-E says there’s a possibility it could have been shrapnel or some piece of projectile that hit Carr. Attorneys wanted to use the defense that police caused Carr’s death. The judge has ruled against it last Monday. Wednesday morning, attorneys argued that if prosecutors can claim transfer intent when they don’t have a specific police officer who was the intended victim - then Borum’s attorneys should be able to keep their defense - that in general - it was CMPD who fatally wounded Carr. Assistant District Attorney Glenn Cole called the defense assertions that police did it “ridiculous” and said there’s no evidence. The defense asked the judge to be fair and let both sides argue what they want or limit both arguments - not just theirs. In the end the judge maintained that the defense can’t say police did it unless they have specific evidence. And he ruled that prosecutors can argue Borum was targeting police.